Happy Saturday and welcome to the café! There’s some fresh coffee brewin’ – c’mon in and visit for a bit! 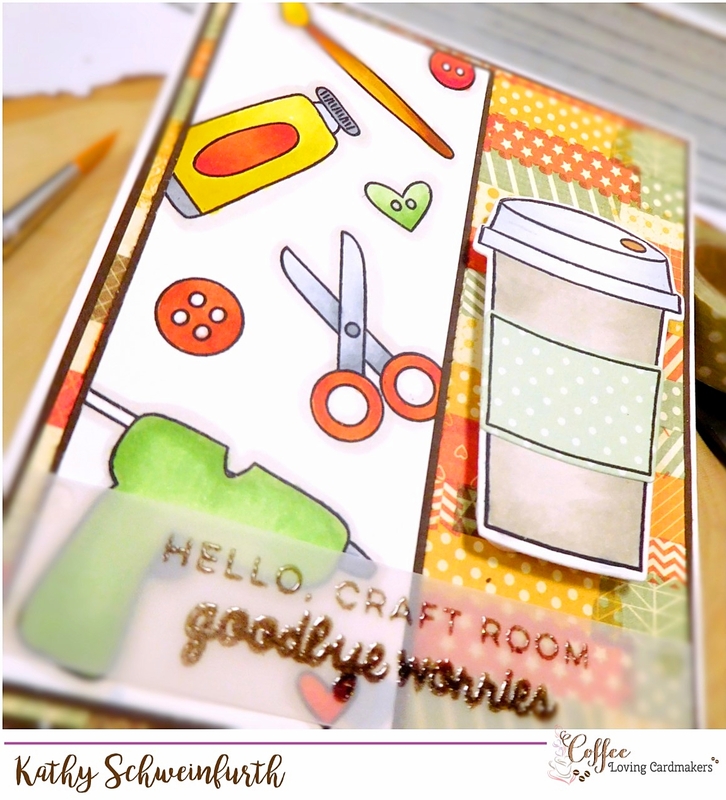 I can’t think of two things that go better together than Coffee & Crafts! 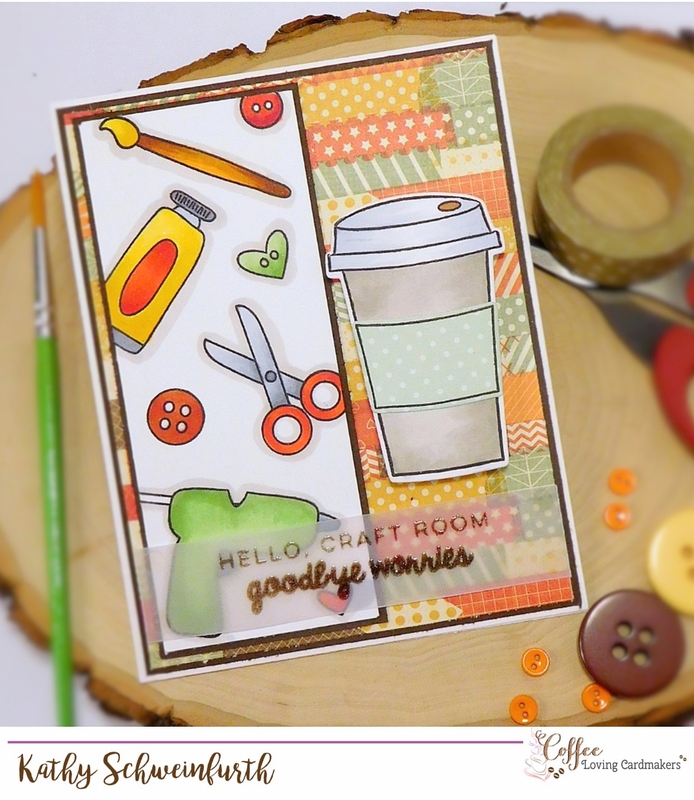 Saturday mornings are just the best…a fresh, hot cup in hand and being in my work room with lots of free time to create something fun! Ahh…such a happy place to be! For my card today, I started with layering some pretty, washi print pattern paper I found in my stash (it’s amazing what I find in there sometimes!) 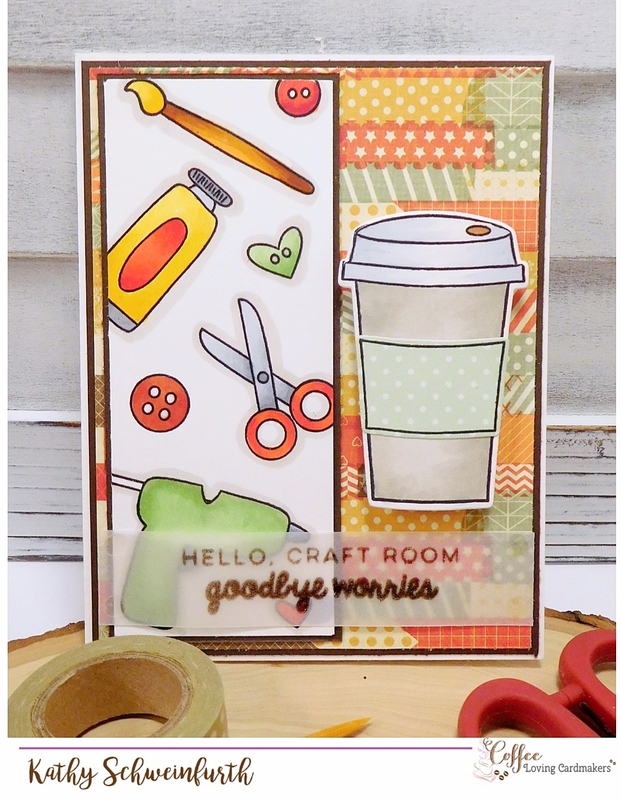 The side panel was created with these fun craft images from Right At Home’s Make Something Beautiful stamp set as is the sentiment. The coffee to-go cup is from another super cute set from Right At Home – Cup of Joy. Hope your day is filled with doing things YOU love. Maybe, like me, it’ll include a fresh cup of brew and spending time being creative in your happy place!